All profits from this race will be donated equally between Macmillan Cancer Support (261017), and Southend Breast Unit (1057266). We’ve updated our charity team total – can we go over £40,000 raised this year ? So proud to be invited to Southend Hospital Breast Unit to see where some of the monies raised at The Kirste 5 Memorial Race are being spent. Brand new ultra-sound scanner which is being used directly in the operating theatre. Awesome work being done, with the help of everyone raising funds for our local resources. 2017 Donations can be made here. Our main fundraising page, which links all the donations since 2012 can be found here, why not join us ? Great afternoon at Southend Hospital Breast Cancer Unit, with Macmillan Nurses and Core Team presenting the £6,000 shared between them from this year’s Kirste 5 Memorial Race. ight, members of the core team, and charity representatives spoke of the success of this year’s race, the good work that can be done with the donations, and the also confirmed that since its conception 5 years ago, the race and associated events has raised more than £32,000 for Macmillan Cancer Support and Southend Breast Cancer Unit. is a charming 5 mile route heading to Hockley Woods, returning through Cherry Orchard Jubilee Park, New England Wood, & Grove Wood, as well as a 1 mile Family Run. Other fundraising events organised by the Club included a family BBQ, a club Mexican Night, runner’s sponsorship and this Quiz night. 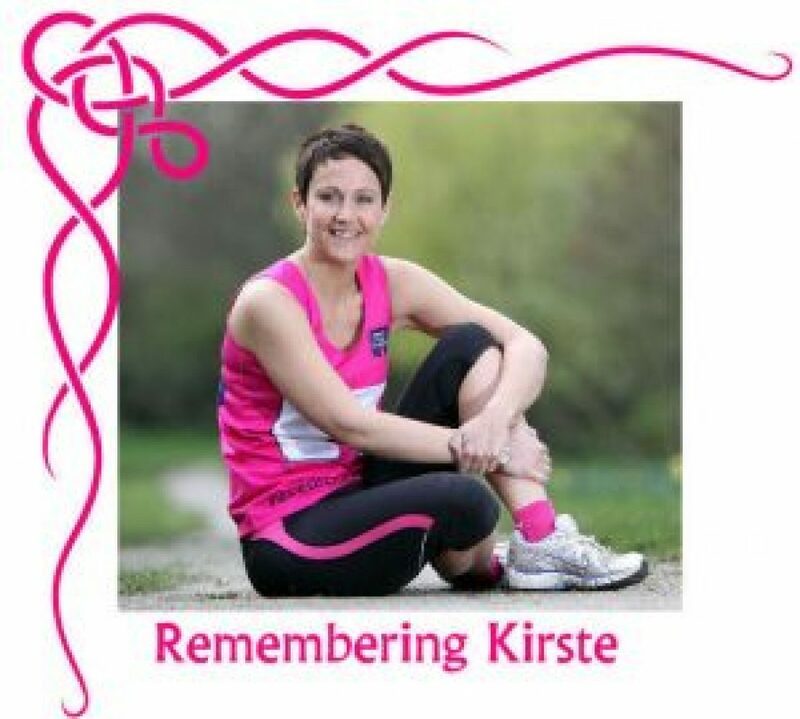 This year’s race was poignant because Kirste’s mum, Sylvia Stedman, and also stance supporter of the rac,e, and friend of Kirste, Brian Lunt passed away before the race. Donations totalling nearing £2000 were also donated in remembrance of Brian, going directly to Southend Breast Cancer Unit. Southend Hospital leaf on their ‘Tree Of Life’ located along the main hospital corridor.